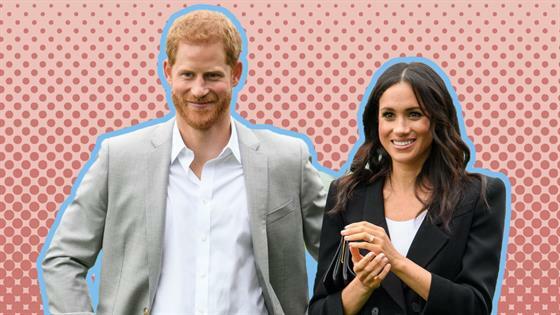 On the heels of the happy news that Meghan Markle and Prince Harryare expecting their first child together, all of the royal pair's quotes about having children and parenthood have been resurfaced. While both the mom and dad-to-be have looked forward to the day they would become parents, the former American actress made a purchase long ago with her future daughter in mind—and revealed the move in an interview years later. "I've always coveted the Cartier French Tank watch. When I found out Suits had been picked up for our third season—which, at the time, felt like such a milestone—I totally splurged and bought the two-tone version," she recalled to Hello! in September 2015. "I had it engraved on the back, 'To M.M. From M.M.' and I plan to give it to my daughter one day." At the time of the interview, Markle was starring on the USA series and nearly a year away from meeting her future husband. While Kensington Palace has not yet confirmed whether the pair is expecting a boy or a girl, there's a classic watch waiting with their mom's initials on it. The palace did reveal that the newest addition to the royal family will arrive in the spring of 2019. As the world soaks up news of the pregnancy, we've also learned more about how the newlyweds shared the sweet news with their famous relatives. Queen Elizabeth II, Prince Philip, Prince Charles, Camilla Parker-Bowles, Prince William and Kate Middletonwere told in person during Princess Eugenie and Jack Brooksbank's wedding at Windsor Castle on Friday. Naturally, the reaction was joyful. Kensington Palace told E! News in a statement on Monday that Meghan's mother, Doria Ragland, is "very happy about this lovely news" and she "looks forward to welcoming her first grandchild." A Kensington Palace spokesperson further confirmed to E! News that "The Queen, The Duke of Edinburgh, The Prince of Wales, The Duchess of Cornwall, and The Duke and Duchess of Cambridge are delighted for the couple." Plus, Prince George, Princess Charlotte and Prince Louis will be joined by their first first cousin in just a matter of months.